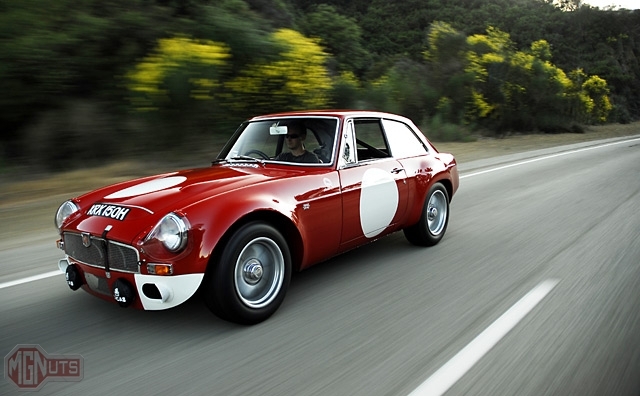 This MGC GT started out life as a standard road-going car until it was rebuilt into a GTS clone many years ago. We are the third owners since the initial build was done, and in our ownership many systems have been rebuilt and the body and paint completely restored and upgraded. Power has been greatly increased over stock and the appearance of the car has been sculpted into a somewhat accurate recreation of the original Works GTS cars of which only two were built. Some concessions were made for use on the road of course, including a fully upholstered interior and working heater. Photos and details of the restoration process, and some early history of the car. Various photos of this MGC GTS. 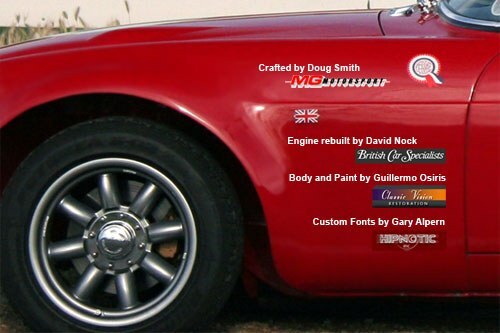 Details and photographs of some of the many modifications and features of the car. Covers Exterior, Interior and Mechanical accessories and modifications. For useful MG-related resources be sure to check out the links page.